A driveway gate is the perfect way to add a level of security and aesthetics to your residence. We build custom solutions to fit your specific driveway and can match your existing fence if you have one. 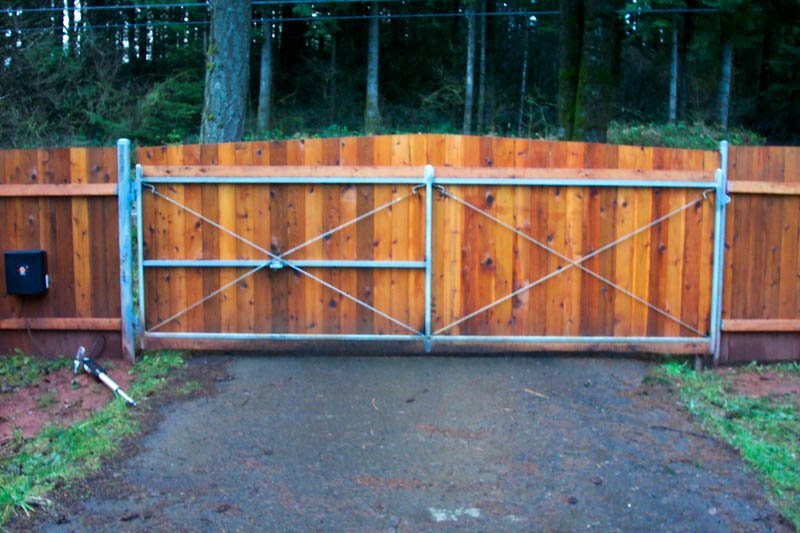 Some of our driveway gates include cantilever, swing gates and slide gates. Imagine controlling who has access to your property’s entrance. Whether it’s a private residence or a commercial building, driveway gates are not only practical in keeping your area secure, but they come in a variety of material and sizes that are beautiful and aesthetically pleasing. We build custom driveway gate solutions to fit your specific driveway and we can match your existing fence if you have one. Security: Driveway gates are one of the most efficient ways to keep your property safe and secure. You are in control of who has access to your property and we will work to integrate your driveway gate with a fence that surrounds your property for enhanced security and privacy. Curb appeal: Make a stunning first impression on your guests with a beautiful driveway gate. These gates can be customized with the type of material that you want. Choose from simple iron fencing or elaborate wooden gates that bring a rustic look, or something else that fits your design preferences. 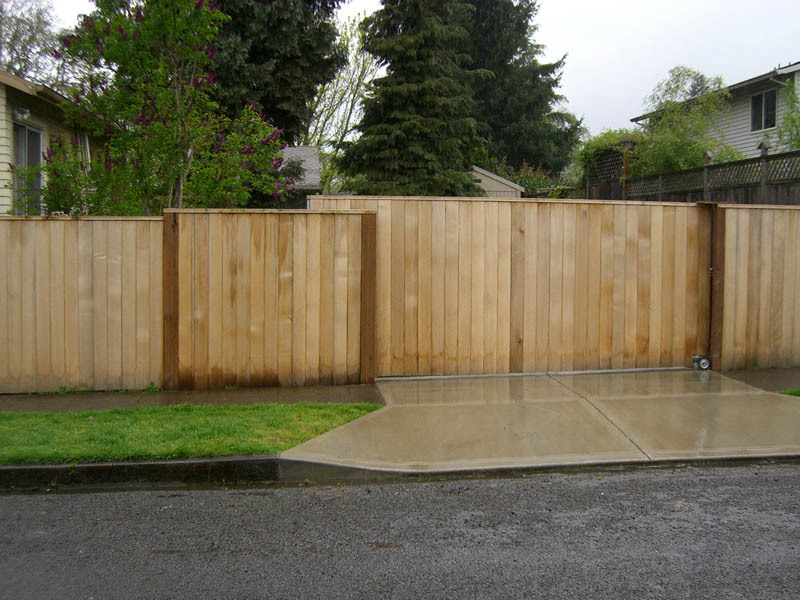 At Pacific Fence, we take pride in the quality of workmanship that we provide in each gate installation project. 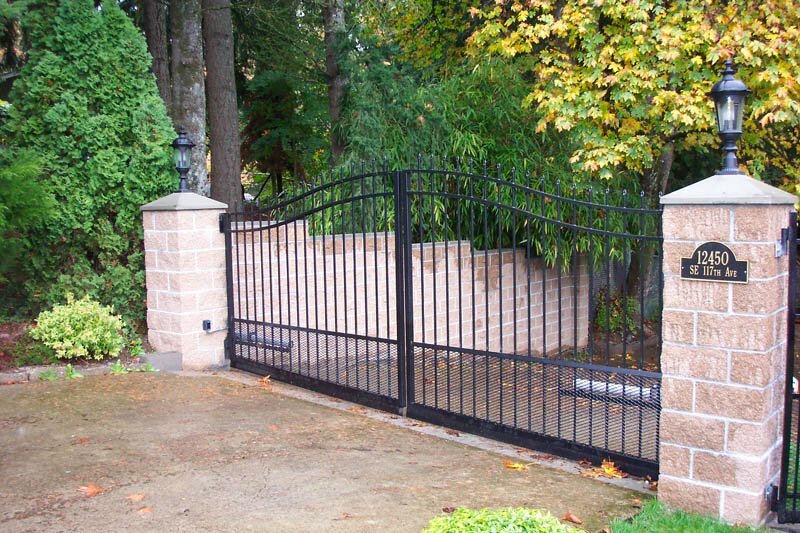 Whether it is something simple or a more complex, larger driveway gate installation, we have the hands-on experience and expertise that our customers trust and expect. Some of our most popular driveway gate selections include cantilever, swing gates and slide gates. Not sure of which one is right for you? Call us today to talk to us about what gate options are available and which one will work for your specific layout and most importantly, your budget. 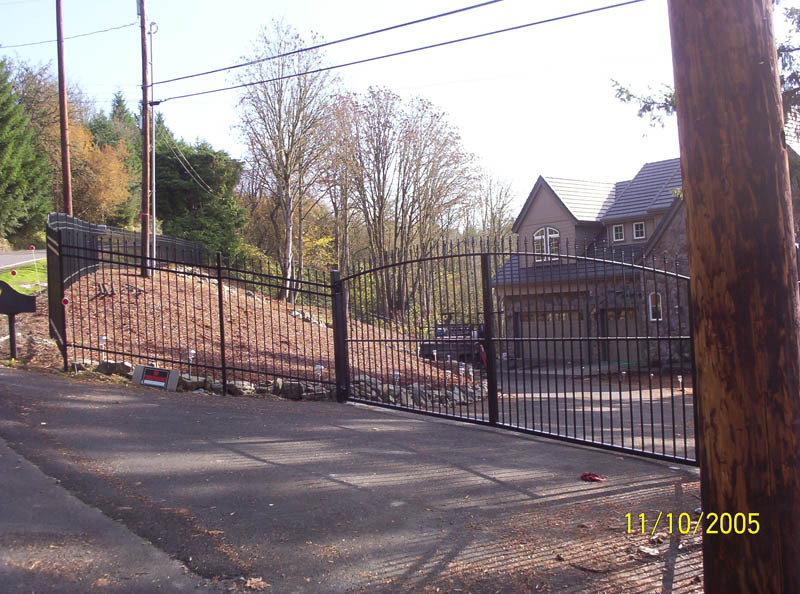 Schedule a free appointment with a driveway gate installation professional today by calling (503) 233-6248 or emailing us at install@pacificfence.com. We look forward to serving you!